(Newser) – A new study out of Geneva has a clear message for doctors: Time to be as careful about washing your stethoscope as you are about washing your hands. Researchers studied the amount of bacteria on stethoscopes' diaphragms—the piece that touches your skin—and the amount on doctors' hands, the Smithsonian reports. The experts found that there was actually more bacteria on the diaphragms than on any part of the hand except the fingertips. 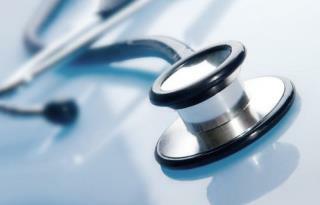 The study followed three doctors who donned new gloves and sterilized their stethoscopes between each of 33 patients. Hospitals are where the sick people are. Avoid them. I've never had a doctor jam a stethoscope into an open wound or my mouth, so I'm not going to worry about it to much. I am glad to see this story because it gives me the opportunity to relate the following experiences. I do not go to doctors very much. Three times when I have gone to doctors in the last ten years I have gotten ill. Each time the illness was specific to where they used instruments. One of these was a dentist, and on the one spot where he probed was where a huge swelling started and was commented on by friends while on the way home. The other two were MDs, and one illness started immediately at the place instrument had touched, the other the next day. It isn't just stethoscopes that they need to be careful about. These were check-ups and I had not been ill except for a questionable tooth with the dentist, which had not swelled till after seeing him.